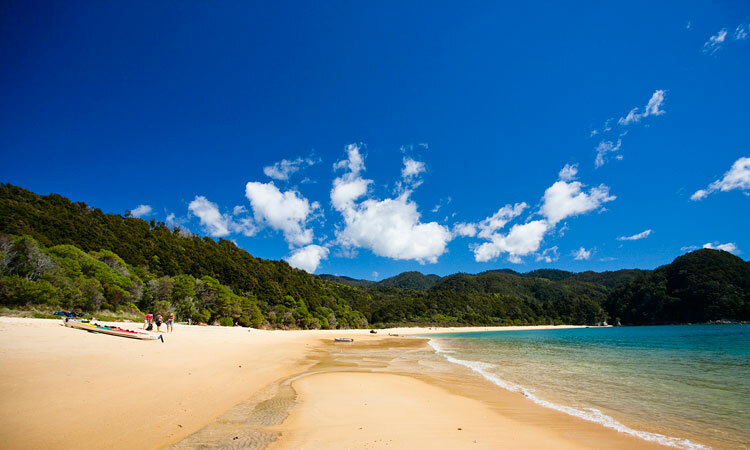 At the top of the South Island is Abel Tasman National Park, a heavenly stretch of indented coastline where golden sands and forest fringes are lapped by cerulean waters. You can walk the 51km coastal track (doc.govt.nz), or drive to Totaranui via the park’s northern entrance. The road is gravel, but you’ll be greeted by virgin bush, a stunning beach and views across Tasman Bay back towards Nelson. Secret cove and desert-island fantasies beckon.